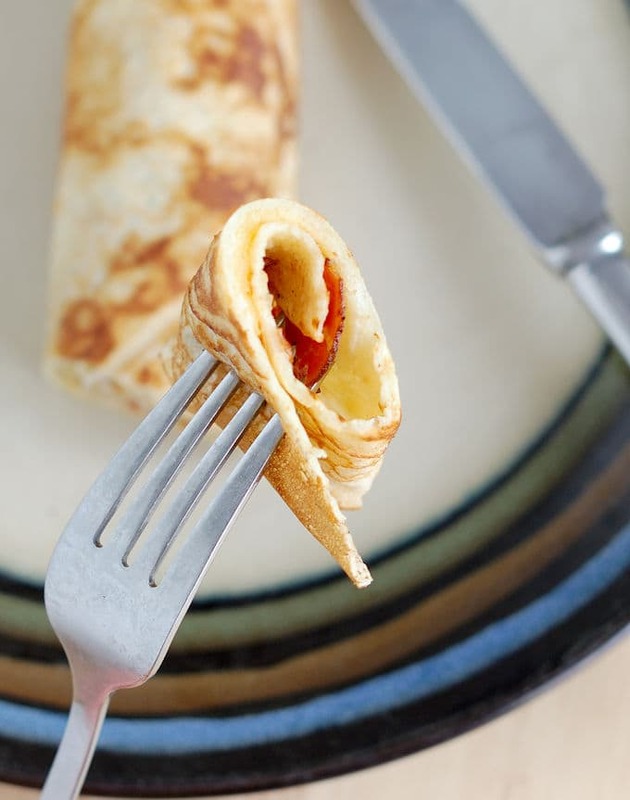 Savory Dutch Pancakes are satisfying for breakfast, lunch or even dinner. This is not a “dutch baby” puffy pancake. 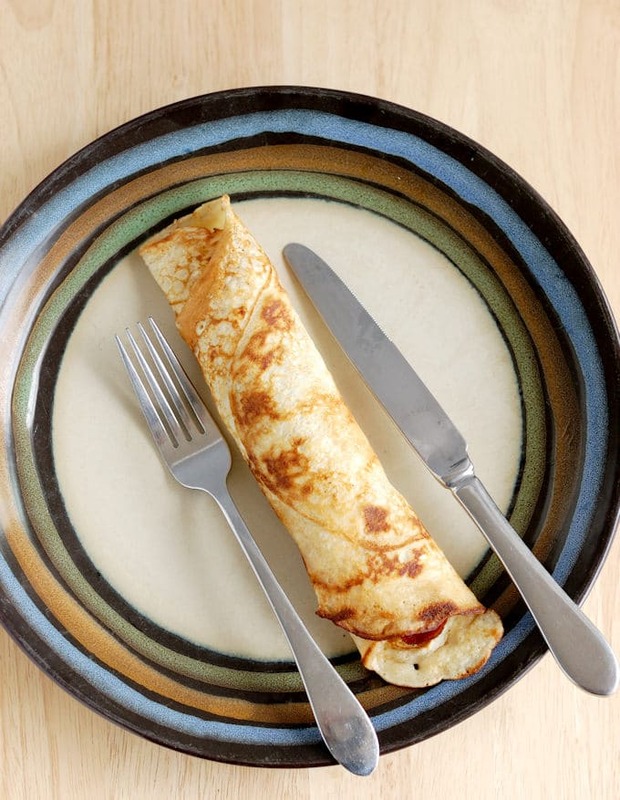 Keep reading to find out how to make a true Dutch Pancake. These Savory Dutch Pancakes are are not the same as the “dutch baby” pancakes that are all over the internet. A “dutch baby” is a pancake that you bake in a cast iron skillet. It puffs up, then collapses when it comes out of the oven. According to Wikipedia, “dutch baby” pancakes were popularized in the US in the early 20th century. It’s based on a German recipe (Deutsch, not Dutch!). Although dutch babies are delicious, they are not what I’m writing about today. Dutch Pannekoeken are from Holland! These are true Dutch pancakes. Dutch as in from Holland or The Netherlands. My husband is Dutch and we’ve been visiting Holland together for more than 30 years. One of my favorite cities in Holland, Gouda, is a medieval city famous for it’s beautiful central square, Gouda Cheese, clay pipes and Stroopwafels. Is it any wonder it’s one of my favorite places in Holland? When our kids still traveled with us, every trip to Gouda included a meal at our favorite pannekoeken huis. As the name implies, a “pannekoeken huis” is a restaurant that specializes in pancakes. Our favorite pannekoeken huis in Gouda was behind St. John’s Church (Sint Janskirk). To get to the restaurant we crossed over a quaint canal bridge. The first time we visited the pannekoeken huis I took a photo of the kids on the pretty bridge. They’re toddlers in that photo. I took that same photo every time we visited Gouda. Fast forward to the last photo on the bridge – they’re 18 and 20 years old. Sadly, by that time the restaurant was closed. I made them pose for the photo anyway, annoying mom that I am! This recipe is based on one I found in an old Dutch cookbook. 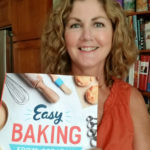 The book has recipes for several styles of pancake. 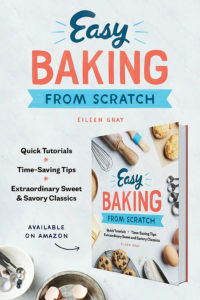 Some recipes are made with yeast and a thick batter and some are more like a crepe with no leavening and melted butter in the batter. 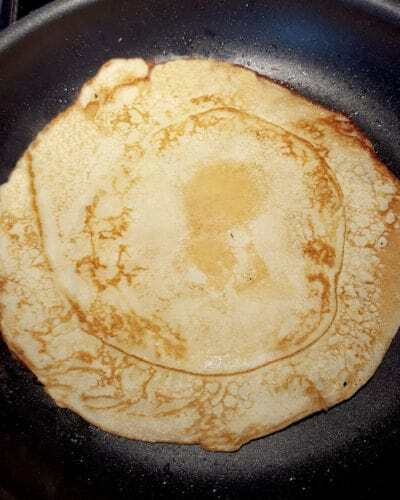 I adapted the recipe that seems closest to the type of pancake we like. You can eat them plain, or with savory or sweet toppings. I love the savory version topped with “spek” (smoked proscuitto) and cheese. 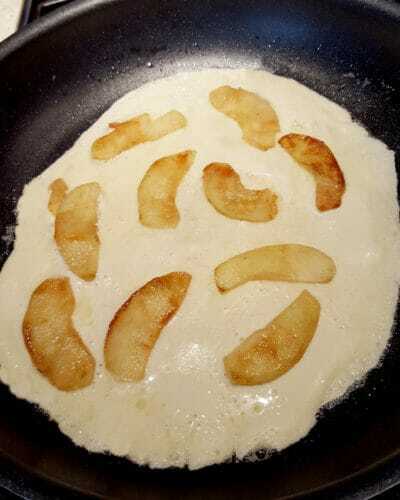 To make sweet pancakes top them with sauteed apples or any fruit of your choice. When our kids were young they loved pancakes topped with whipped cream and chocolate sauce, or “stroop” (Dutch syrup). 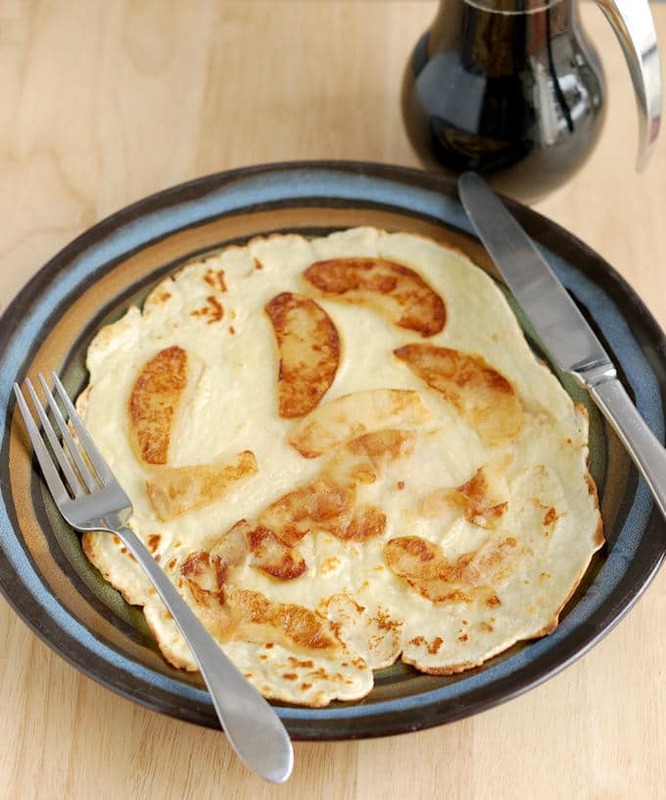 You can make a Sweet Dutch Pancake with sauteed apples or the fruit of your choice. Serve with syrup or Dutch Stroop. Roll them up and enjoy. Personally, I like the speck and cheese pancakes with a little maple syrup. Sorry, it’s the American in me. I just love my maple syrup! 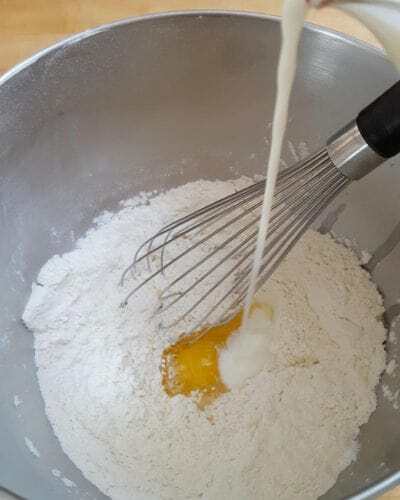 Whisk together the flour, baking powder and salt. Speck is a smoked proscuitto. 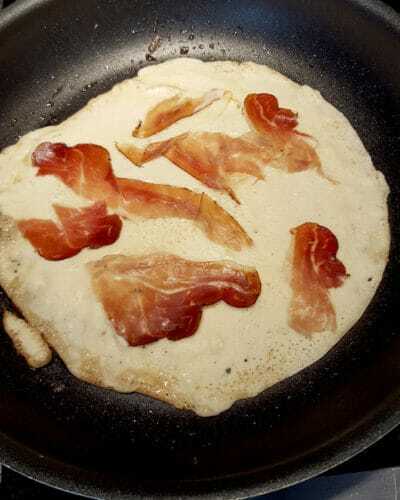 If you use American bacon you'll need to cook it before making the pancakes. 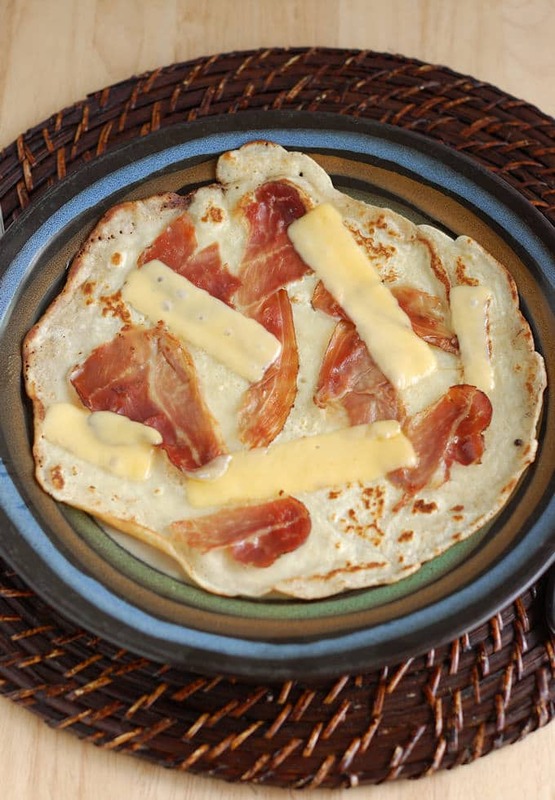 You can also make sweet Dutch pancakes by adding sauteed apples, raisins or the fruit of your choice. 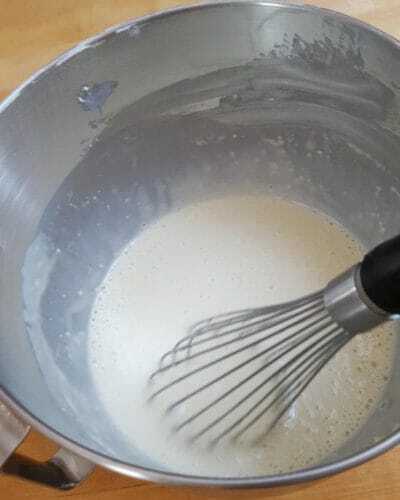 Serve sweet pancakes with syrup or Dutch Stroop. I make them differently but I,ll try these, great story too. Reggi Shane. Thanks, Reggi. I saw a few different recipes in our Dutch cookbook and chose the one closest to what we’re used to. 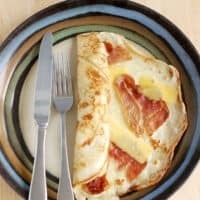 I love savoury pancakes – quick and easy, these pancakes look like a great idea for this Sunday’s brunch. Thanks, Nicole. 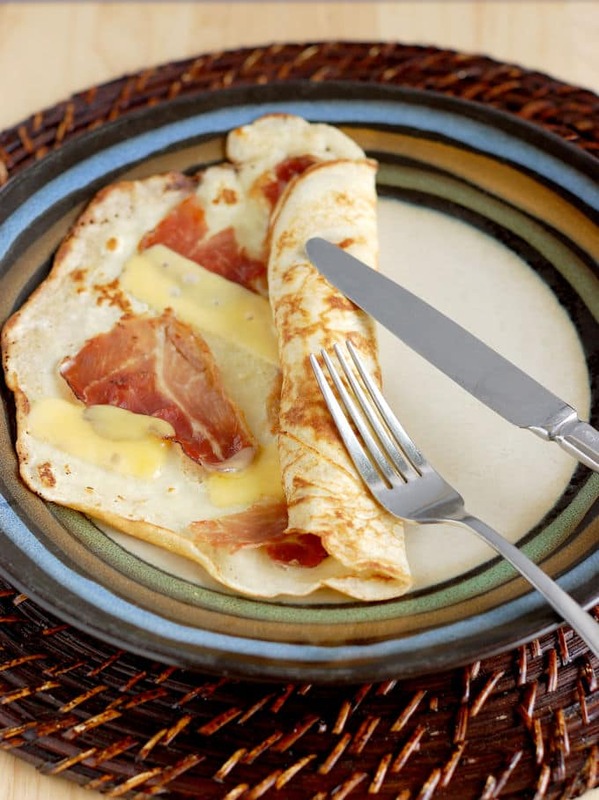 I like the Dutch pancakes because you can make them sweet or savory. Thank you so much for this! Great post! The pictures were really useful for knowing what colour they were supposed to be. Troubleshooted a few little things i’d been consistently making mistakes on whilst trying to recreate Dutch pancakes (i’m from the UK). 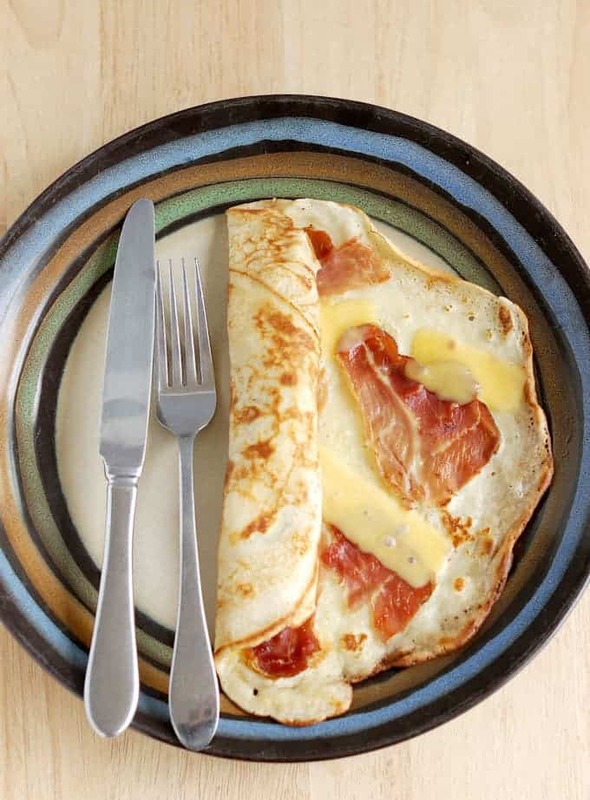 Mainly to cook it until the top was completely set (i’d kept trying to flip too early in my previous attempts), and to put the meat on top of the uncooked side of the pancake (i’d been cooking one side, flipping, adding ham and cheese whilst browning the other side). Thanks, Charis. I’m so glad the photos were helpful. Enjoy!! This is an amazing recipe! I recently visited Amsterdam and was inspired to make these lovely pancakes. Your recipe has exceeded my expectations and my daughter demands these on a regular basis. 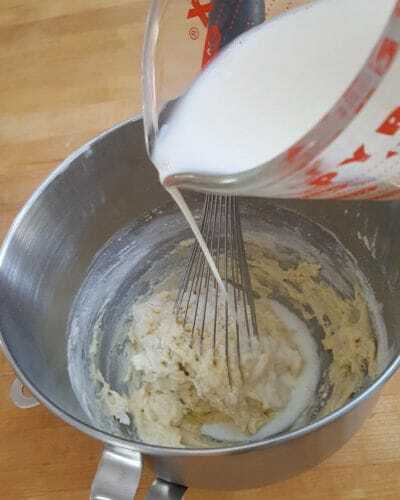 This recipe is simple, authentic, and so so tasty! Yay!